In the last few years, the phrase “your zip code matters more than your genetic code” has floated around the healthcare industry and with sound reasoning too. In cities across the U.S., the average life expectancy is 15-20 years shorter in low-income communities than those in more affluent communities. Rates of preventable, chronic diseases are rising sharply in low-income neighborhoods and health gaps between low-income and affluent communities continue widen. These disparities in health are founded on a complex interplay of racial, economic, educational, and other social factors. But by partnering with community-based organizations to address the social determinants of health, health plans and health systems can dramatically improve health outcomes in their communities. Across the United States, the health equity gap between communities continues to grow and become more crystallized. Studies show that individuals and families with higher incomes tend to live in better neighborhoods, which often means that they have access to better schools, better social networks, are more likely to come from and marry into similarly connected families and generally, have better health outcomes. The children in these families also tend to inherit these advantages while those who are less wealthy also tend to inherit their familial circumstances. 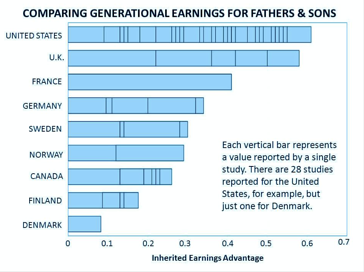 According to a common measure of intergenerational social mobility called the IGE, the United States likely falls between .4 and .5 on a scale of 0 to 1. The IGE measures how much a 1% rise in a parents’ income affects their child’s income and more relevantly, how likely the children of affluent parents will be well-off in the future and how likely the children from lower-income families will remain disadvantaged. These disadvantages can significantly impact health outcomes. Studies have shown that Americans at all income levels are less healthy than the income level that is above their own and those with incomes that fall into the highest levels of poverty have the worst health outcomes. A study by the CDC shows that poor adults are almost five times as likely to self-report being in fair or poor health compared to adults with incomes that are 400 times or more than the federal poverty level (FPL), which was $23,825 for a family of four in 2014. The study also revealed that people with incomes that fall into the $35,000 per year and under income level are more likely to have a chronic disease than any other level of income. The same study also shows that 8.1% of people who fell into this category suffered from coronary heart disease compared to the 4.9% of people who had an income of over $100,000. The individuals that fell into that low-income category had the worst health outcomes compared to all other income level categories across a variety of chronic diseases and illness including strokes, diabetes, chronic arthritis, hearing, vision, and teeth loss, chronic bronchitis, and more. 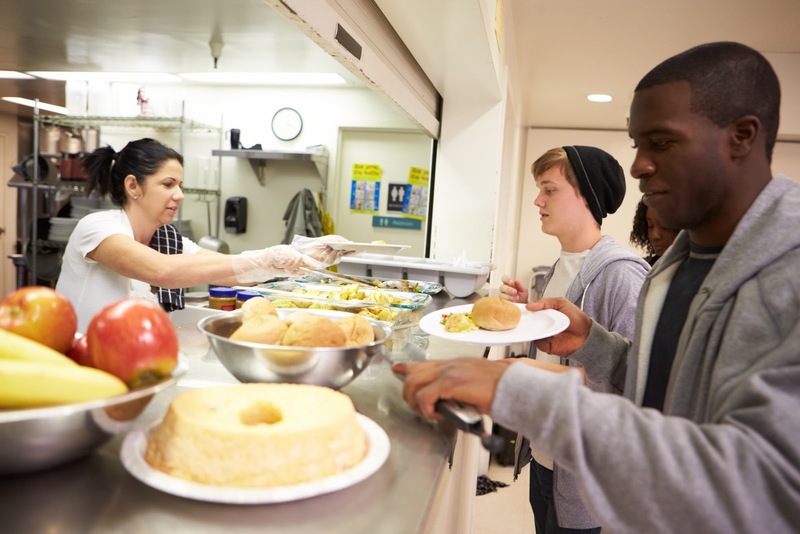 The health disparities between low-income and affluent communities are stark, but some communities have started to tackle these inequities and are seeing improved health outcomes. The Good Samaritan Health Center, a local community health center in Atlanta’s Westside, recently revealed a 13-year disparity in life expectancy between residents in Atlanta’s Westside and those who live in the more affluent communities nearby. As a response, the Good Samaritan Health Center launched the “13 Years” initiative to improve community health and narrow the life expectancy gap. The “13 Years” initiative is comprised of several strategic community partnerships, including the YMCA and the Home Depot Foundation. The organizations within the initiative work together to improve access to healthy food, housing, and green spaces in the community. By establishing these key community partnerships, the Good Samaritan Health Center has been able to link their patients to necessary services and resources like medical care, dental care, behavioral health services, health education and healthy tools. In a similar case, Le Bonheur Children’s Hospital in Memphis, Tennessee has partnered with over 100 community-based organizations to reduce health disparities in the Memphis metro area. Through these partnerships, Le Bonheur has been able to improve health outcomes while also reducing the costs associated with care, particularly through the Changing High-Risk Asthma in Memphis through Partnership (CHAMP). Launched by Le Bonheur in 2012, the program aimed to address asthma in the Memphis area and roughly 600 children affected by asthma enrolled in the program. According to the Asthma and Allergy Foundation of America in 2015, Memphis was considered to be the "most challenging city to live with asthma" and 40 percent of admissions to Le Bonheur were related to asthma. As part of the program, a team of medical providers and community-based staff members worked to educate families and address barriers to self-management. As a result of the program, asthma hospitalizations are down 70 percent, and cost of care is down 50 percent. The Good Samaritan Health Center’s “13 Years” initiative and Le Bonheur Children’s Hospital CHAMP program are just a couple of examples of how health systems, health plans and community partners can work together to continue to improve health outcomes outside of the clinical setting and reduce health disparities between communities. These partnerships and collaborative efforts not only improve health outcomes for low-income, at-risk patients, they also reduce the costs associated with care. For example, research conducted by MANNA showed that out of 65 chronically-ill Medicaid patients who received six months of medically-tailored meals through their organization spent about $12,000 less a month in medical expenses. Additionally, the sample groups’ healthcare costs dropped to an average of $28,183 per month, while the control groups’ healthcare costs were 55 percent higher at $41,000. The results also showed that monthly inpatient costs for the sample group dropped from $174,320 to $121,777, while the control groups’ costs were $220,000. A zip code should not determine one’s health and by partnering with community-based organizations, health systems and health plans are one step closer to ensuring that every individual and family within their communities have an equal chance at better health outcomes. If your organization is interested in developing a collaborative network of health leaders to support your social determinants of health program, Healthify can help. Healthify offers end-to-end solutions that help health systems and health plans develop a coordinated network of community partners. If you're interested in learning more about our solutions and how we can help your organization establish a network for community partners, connect with us here.